Welcome to our class website. There are 19 amazing students in Mrs. Wamboldt's Primary/One class at North Queens Community School. 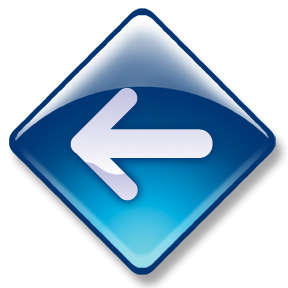 Please drop by and see what we have been up to! 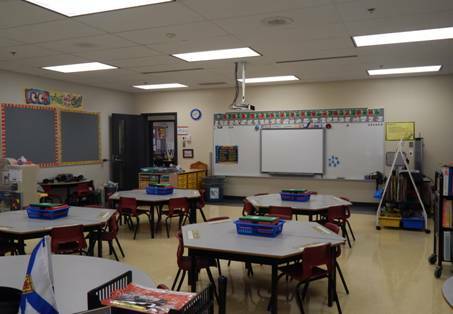 Here is our space to learn and grow and build positive relationships. Soon this area will be busy, busy, busy! Classes begin - 8:50 a.m. Recess - 10:50 - 11:05 a.m. Classes resume - 12:55 p.m.
North Queens Elementary School (1966-2006) was destroyed by fire on September 14, 2006. Fortunately, the adjoining Jr./Sr. High School was saved by emergency workers. From November 2006 to June 2008, North Queens Elementary consisted of eight portable classrooms. During this time construction of a new elementary wing on the Jr./Sr. High School began. The Primary/One portable was the third unit on the left. 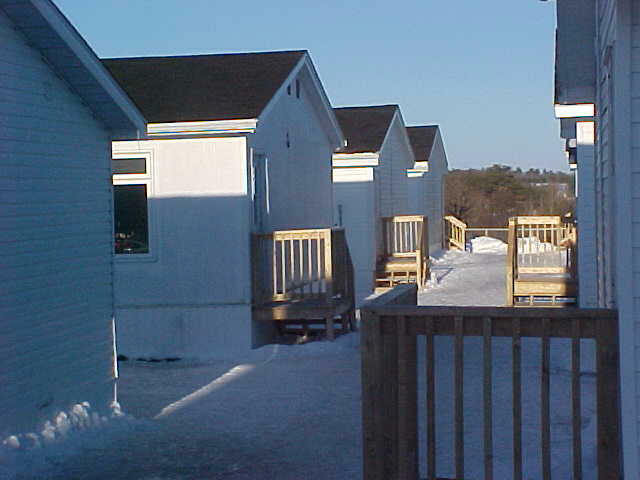 Currently, one portable classroom remains on site and is used by the Caledonia and Area Nursery School. To the left, see our school today. 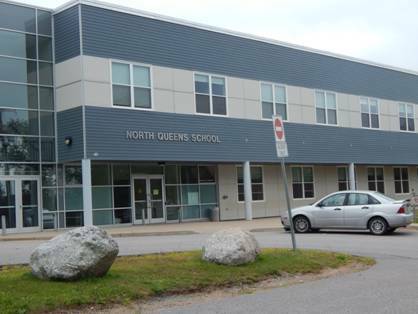 One school for grades Primary to Twelve now named North Queens Community School.